"CrossFit and the pursuit of fitness is every bit as much a mental challenge as it is a physical one. Anyone that has done CrossFit recognizes the carry over of the physical improvements to all aspects of life. The mental benifits of preperation, dealing with adversity (PAIN! ), consistency, discipline, character, and commitment are also developed and refined through CrossFit and carry over to all aspects of life. There is no better model of everything good about CrossFit than Greg Amunsdson. 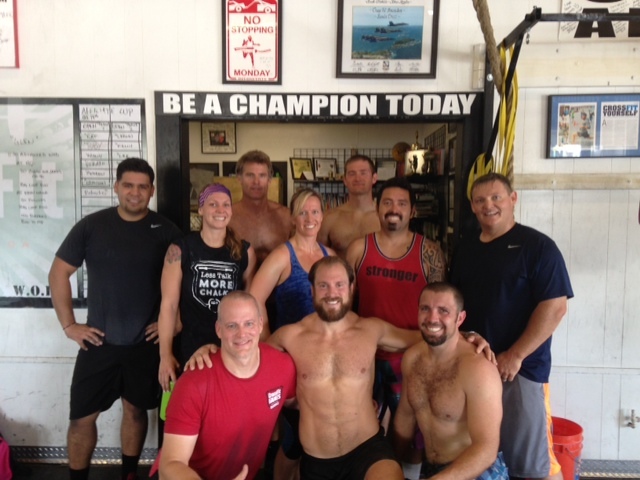 I highly advise attending Greg's Mindset Course and learning his mental approach to CrossFit and life." Please join us for today from 10:00 AM to 11:00 AM for the CrossFit Amundson Olympic LIfting Class followed by Open Gym from 11:00 AM to 1:00 PM. A CrossFit Amundson Coach will be on staff to help with the accomplishment of your fitness goals. Congratulations to Beto, Dorie, Scott, Brett, Amber, Lee, Roberto, Allen, Pete and Greg who completed the challenging Hero Workout “Glen” on Saturday. Stay posted for an exciting announcement about “Hero Month” which will culminate in an “Earned Shirt” for completion CrossFit’s most honorific Hero Workouts.